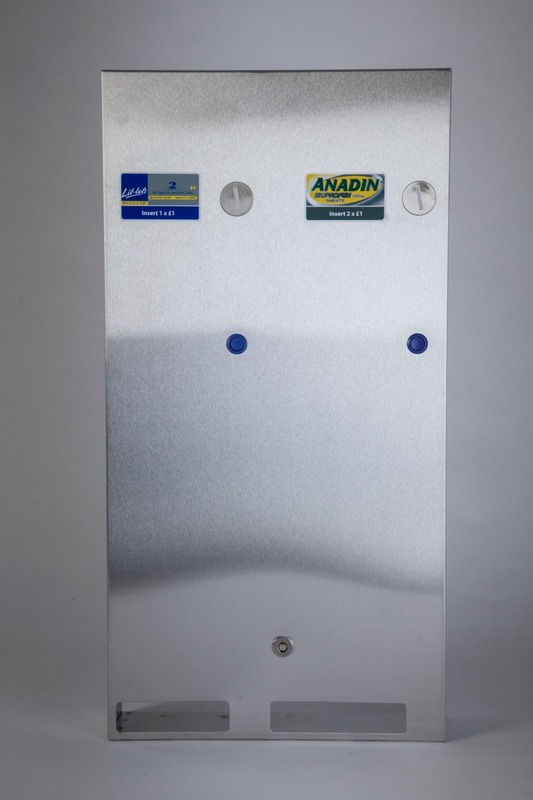 The Autovend sanitary vending machine has a tough and slim design, making it the perfect solution for smaller washrooms. 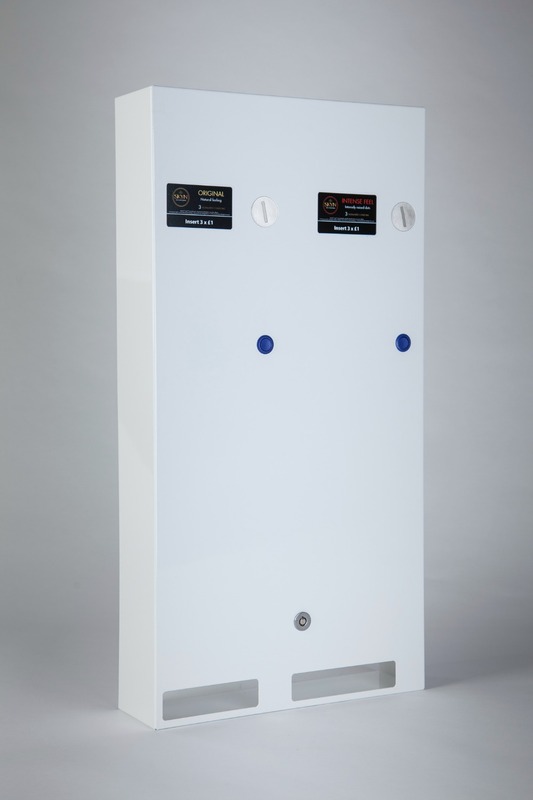 Once a user inserts the correct coins into the Autovend, the products are dispensed automatically. 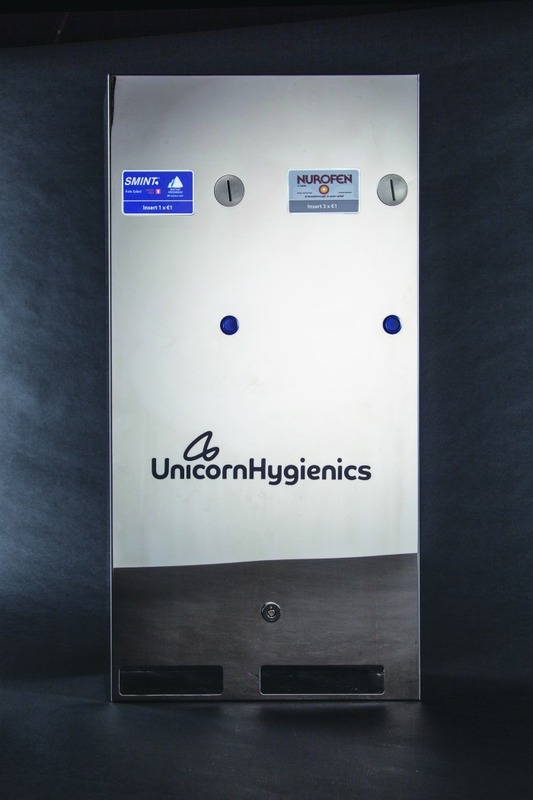 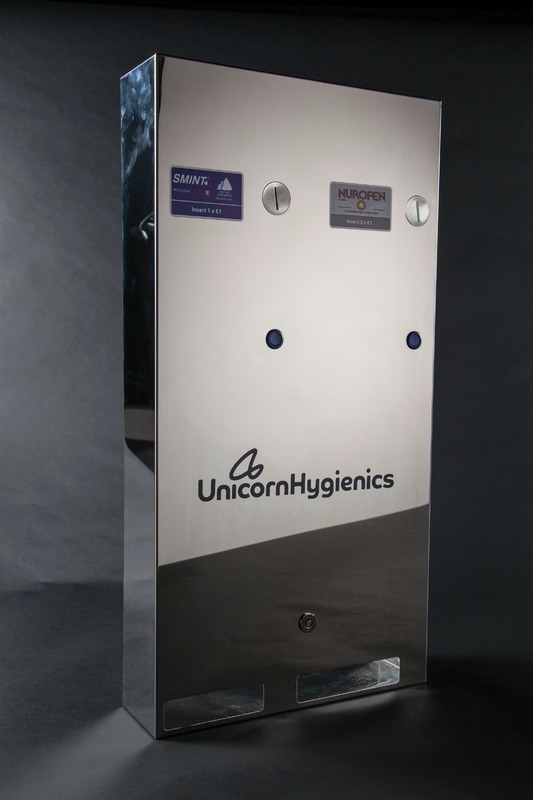 This dual column vending machine is available in a choice of brushed stainless steel, white metal or chrome – providing a design and colour choice for all washroom environments in pubs, restaurants, clubs, hotels, shopping centres, stations, educational facilities, airports and more. 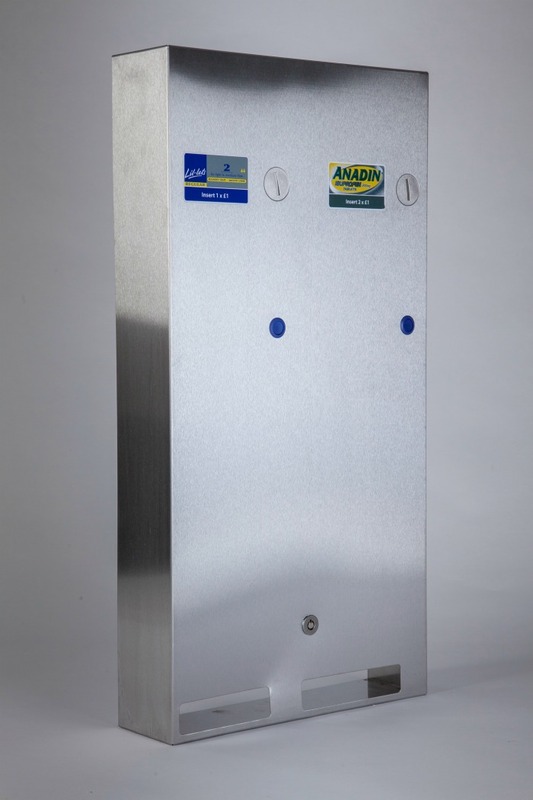 The Autovend is extremely robust and is resilient to vandalism. 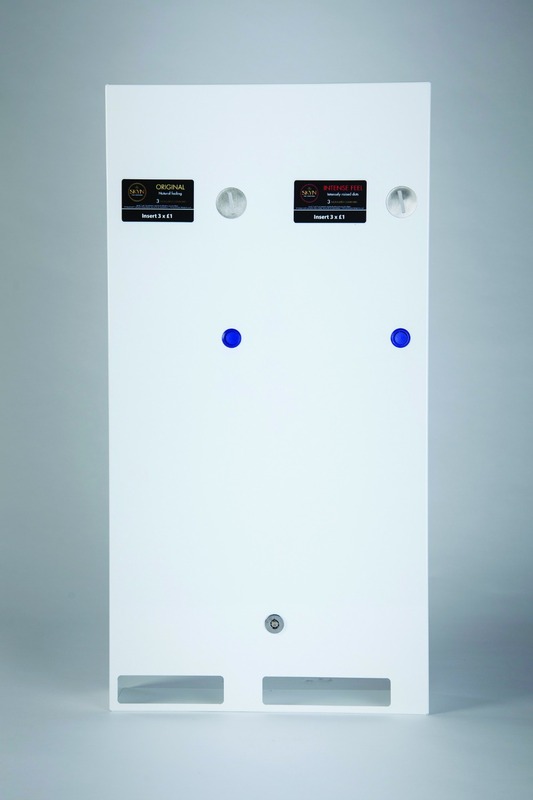 The Autovend sanitary vending machine is a very simple dispenser which allows many formats and product sizes. 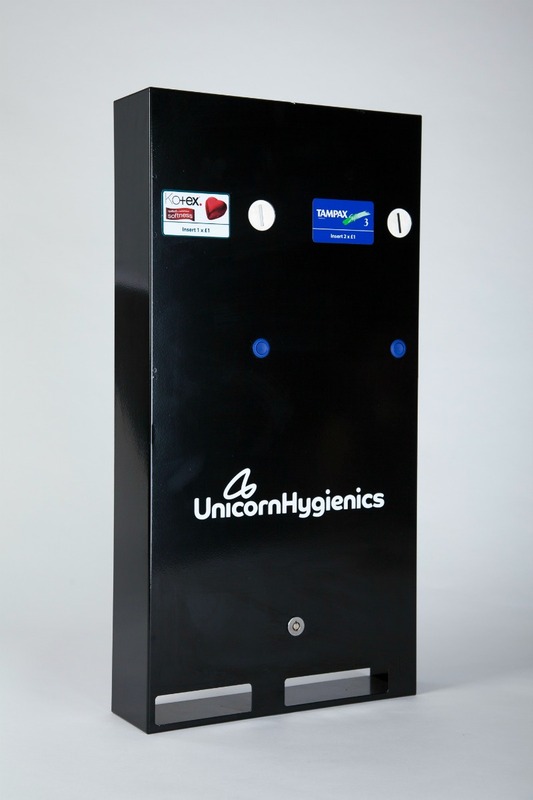 Our washroom vending machines dispense leading brand named products which customers know and trust. 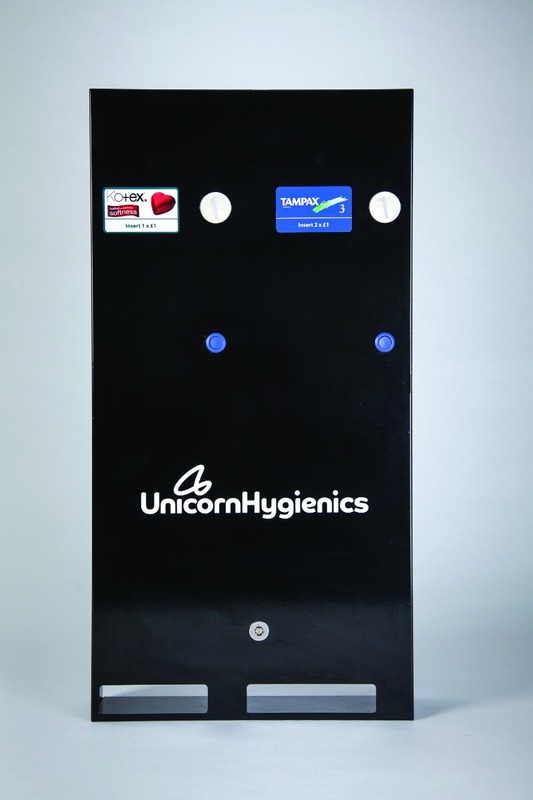 All our sanitary vending machines come with an installation and operation manual.